In 2011 the WA government implemented a ‘big stick’ approach to public housing evictions. 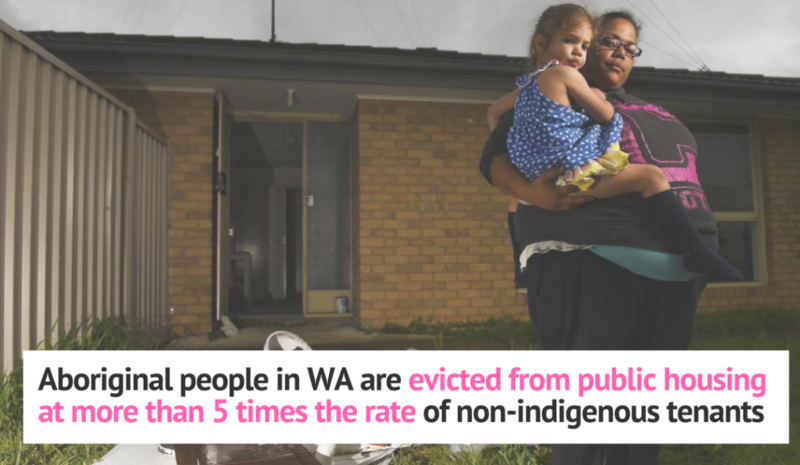 Because Indigenous people are more likely to require public housing, and more likely to have complex issues – the practice has meant more Indigenous evictions. The First Nations Project have proven that the big-stick is unwarranted. By providing the assistance a family needs, like property maintenance and psycho-social support they need. The Project has prevented 100% of evictions and achieved this result with an army of volunteers and very little funding. When the taxpayer bill for every eviction is $40,000 and comes at enormous cost the family, we have to ask – who is it really helping? Domestic violence is at crisis point in Indigenous and non-indigenous homes around the country. Indigenous women face a host of additional risks – including overcrowded housing, poverty, unemployment, and a history of violent trauma. Jennifer Kaeshagen; Director at First Nations Homelessness Project explains that evictions are a safety and child protection issue – “if the family has nowhere to go other than the already overcrowded house down the road they are at real risk of being exposed to violence and having children placed in state care”. When child removal is occurring at a greater rate than any time in our nation’s history, and 1 woman dies every week due to domestic violence – we have to ask what does it take for government to invest in prevention rather than punishment? 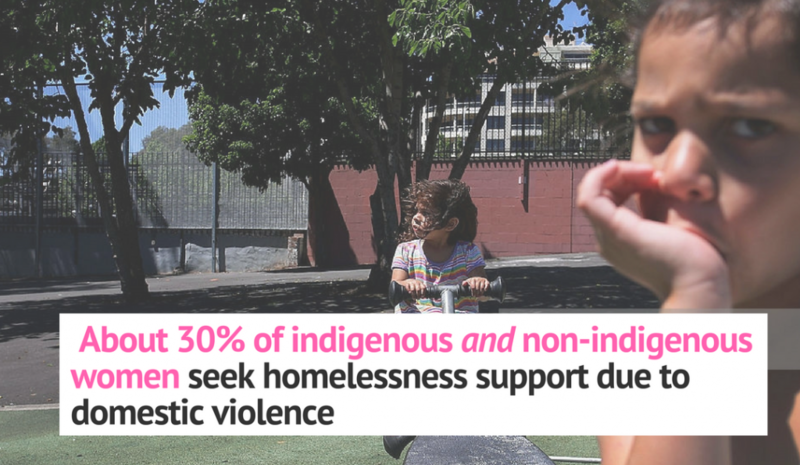 The gap between Indigenous and non-Indigenous people requiring homelessness support continues to widen. In 2016-17, 1 in 4 Indigenous people sought help because of a housing crisis and about 1 in 5 due to domestic and family violence. 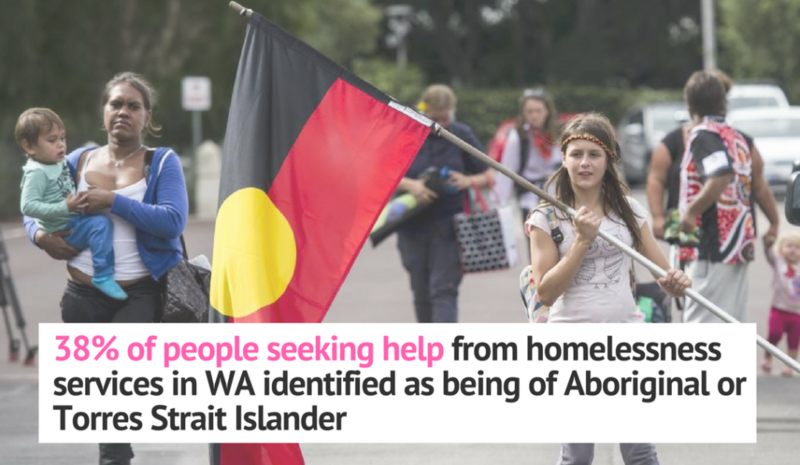 This data tells us that the reasons Indigenous people seek help are the same as non-Indigenous people, but the rates that they need assistance are much greater. As we shared last month – there is a critical shortage of housing that is affordable and appropriate for Indigenous people, and public investment simply washes through the bureaucracy. This makes us wonder when our leaders will invest in local solutions that actually reach indigenous communities? 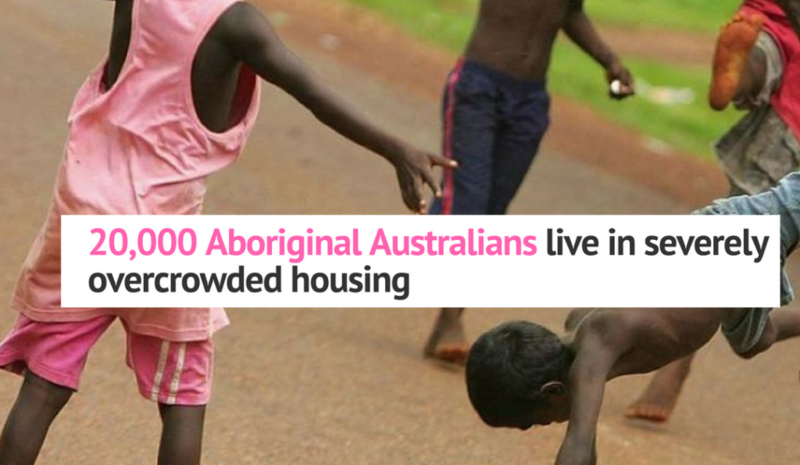 Overcrowding is the number one issue in Indigenous communities across Australia. The lack of affordable options, bad government intervention, and the big-stick approach only serve to compound this problem. Jennifer at the First Nations Homelessness Project says that the domino effect of evictions are partly what drives overcrowding in Perth – “When a family is evicted, they turn to the extended family for somewhere to stay. It just intensifies the problem”. Temporary visitors from country are also just a common part of cultural life, meaning the average Indigenous person needs more space than the standard property. Cookie cutter builds that don’t engage with local communities overlook the cultural needs of Indigenous tenants. Our question for government is – when will we turn cash and promises into housing solutions? We have a lot of questions, and don’t claim to have the answers. But we reckon prevention is better than the cure, and that local-led solutions get better outcomes. If you agree, you can directly support the First Nations Homelessness Project here, or follow them on Facebook here.